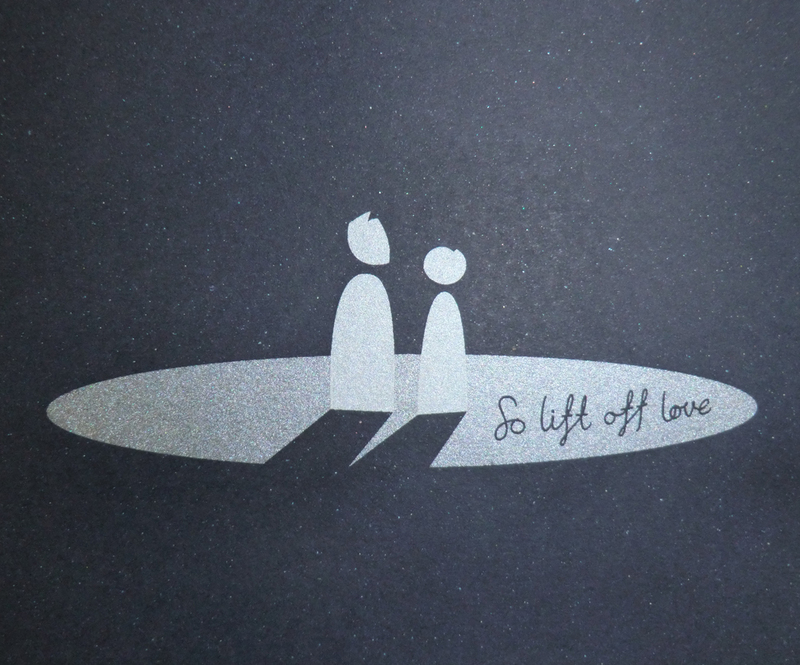 we were recently asked to create a very small edition of prints for designer Claire Vickers. 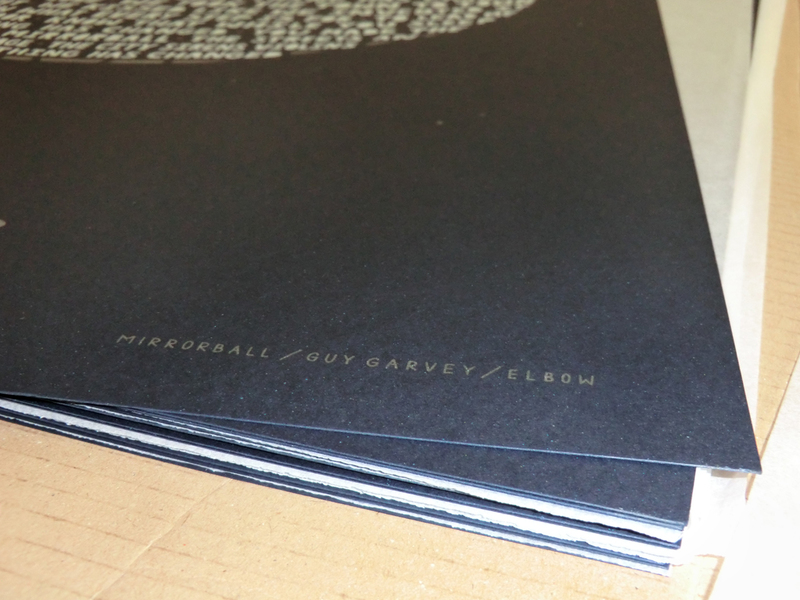 The print uses beautifully hand-rendered type to cleverly illustrate the lyrics to the Elbow song ‘Mirrorball’. 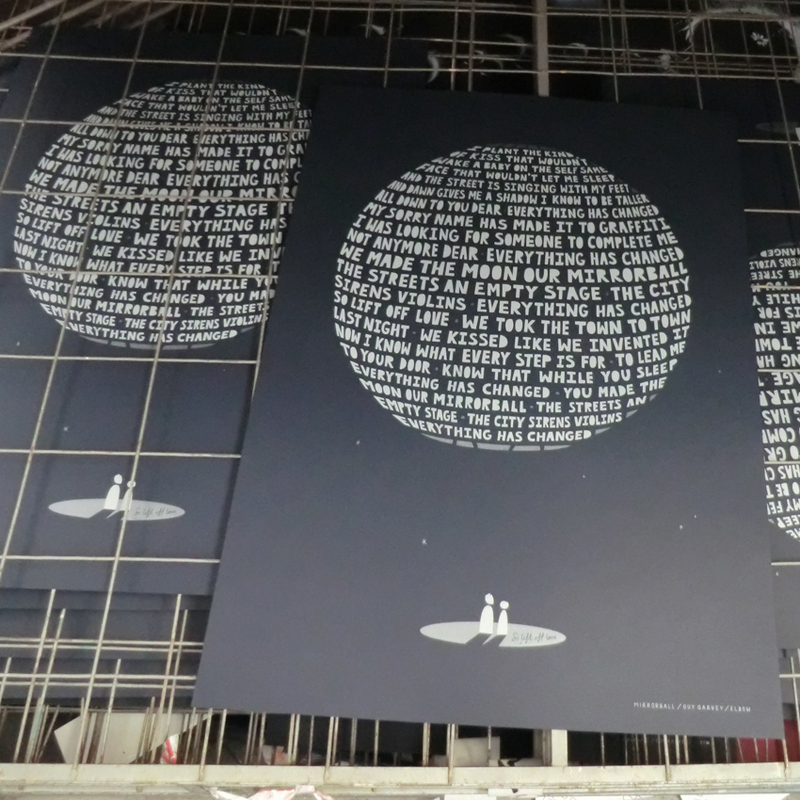 The prints were printed in 2 different silver… inks, on Fedrigoni Sirio Stardust – a really good 290gsm smooth stock, with a subtle silver fleck.